"COME INTO MY LIFE" (c)2006 PGA Music Productions/SOCAN. Pat's debut album "Come Into My Life" was nominated for Traditional Album of the Year; and two songs: "Come Into My Life" and "Lord of Lords, King of Kings" were both nominated for Traditional Song of the Year! Pat began singing at the early age of 15 in the Caribbean Island of Trinidad where he formed a trio called the Canaries. The three friends went on to win an Island-wide televised contest called "Scouting for Talent". The group performed at various charitable venues as the boys were too young to perform in clubs. Returning to his native Jamaica, Pat joined the Jaywalkers, a six piece R&B/Rock Steady/Reggae band that enjoyed much popularity with the local islanders. 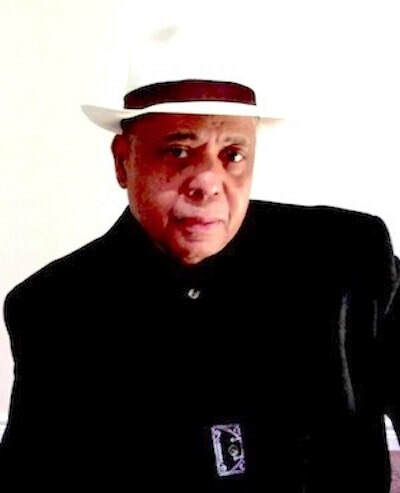 Migrating to Toronto in the late 1960's, Pat played with various R&B groups such as The Experiments, New Directions, Toronto Revival and The PG Reid Band. Appearing at venues in and around the Toronto area; University campuses; and covering numerous road tours in South Western Ontario; the East Coast including Newfoundland. Pat has performed with some of the top musicians from the Toronto area. His vocal training began at Toronto's Royal Conservatory of Music at the University of Toronto. He also attended Humber College's Jazz Program for a short while as a Voice Major. He holds a degree in Psychology from York University in Toronto. His debut album “Come Into My Life”(c)2006 was nominated for Traditional Gospel Album of the Year at the 2006 'Gospel Music Covenant Awards (GMA)' in Calgary Canada; and songs "Lord of Lords, King of Kings" and the title track "Come Into My Life" were nominated for Traditional Gospel Song of The Year. Pat presently composes and records in his home-studio with piano and does all midi programming as well all accompanying back up vocals. He is currently writing and recording several songs simultaneously. He writes in the Country/Americana/Gospel/Reggae/Pop/Jazz genre. Pat Reid Studios: Cobourg Ontario, Canada. Mid: Drums; Guitar; Horns; Bass; Strings. Midi: Drums; Bass; Sax; Solo; Memphis Horns; B3 Organ; Guitar; Percussion: Pat Reid. 3. "Should Have Never Let Her Go"
Midi: Drums; Bass; Horns; Guitar; Congas; B3 Organ; Percussion: Pat Reid. This is a Spiritual/Reggae uptempo song with a Calypso/Pop flavor. The lyrics speak to the Human Spirit and to the current challenges faced by a world in need. Midi: Drums; Bass; Horns; Guitar; Congas; B3 Organ; Strings; Percussion: Pat Reid. This song speaks breaking up and possibility of old friendship turning into love. Midi: Drums; Bass; Horns; Guitar; Cello; Percussion; Sound Effects;: Pat Reid. This song reflects on the young man, Trayvon Martin's passing, with which most of us are familiar. Listeners can easily relate to the song’s lyrics as they stir the humanity in us without having to become political. This is a R&B uptempo tune with a Philly Shuffle, celebrating being in love. Midi: Drums; Bass; Horns; Guitar; Congas; Cello; B3 Organ; Strings; Percussion: Pat Reid. This is a Country/Gospel ballad. The lyrics touches one’s heart, especially those in need of a bit of "Spiritual Support”. This is in memory of Eric Gardner. The lyrics cries out for humanity's mercy. This song is about young love: Boy finally coming to realize that he is in love with his childhood friend. Album: "Come Into My Life"
Production: Eddie Bullen, Thunder Dome Studio,Toronto. Mastered @ Wellesley Studios, Toronto. Debut Gospel Album with a 'Traditional/Contemporary' feel. This song depicts the spiritual challenges one can face on a daily basis. This song addresses the 'gang mentality' that plagues many young men, particularly in the big North American cites. The lyrics hints of the sociological and psychological fall-out of slavery on youth. This is in celebration of the Lord for His many blessings. This is an easy-flowing uptempo Reggae song. It owns up to one's misdeeds and eventual redemption. Here is a 'prayerful' gospel ballad celebrating God's love. This is an uptempo Reggae song asking the Lord to come into one's life. This song was nominated for "Traditional Gospel Song of The Year" at the 2006 'Gospel Music Covenant Awards' (GMA) in Calgary Canada. 8. "Lord of Lords, King of Kings"
This is a Gospel/Praise. It was nominated for "Traditional Gospel Song of The Year" at the 2006 'Gospel Music Covenant Awards'.